Ace Machine & Tool, Inc. delivers products throughout North America. They do what it takes to deliver accurately machined products with reliable service and innovative designs that solve problems. They provide affordable engineering and collaboration services for close tolerance, low volume prototypes and production of 1-10,000 parts. Ace Machine & Tool prides themselves on valuing quality over quantity, and getting every order right the first time around. They focus on being approachable and friendly to make customers feel at home in their shop. The Ace Team takes a different view of every project so that they can take the time to ensure that all their customer’s needs are met. They strive to put their customers first, no matter what. 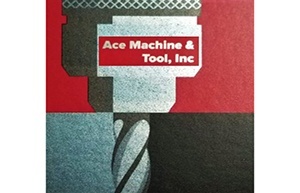 View Ace Machine & Tool's Made in Illinois profile here.